Dailycacy is a dish based food ordering app, aiming to create a user-friendly platform that allows you to order dishes based on authentic food reviews from a panel of food experts. With this app, you can search for dishes directly as opposed to searching restaurants first and then face with the daunting task of going through endless menus. Once you search for your dish, you would instantly get expert reviews and ratings specifically about the dish (No more of the ‘ambience is good but nothing about the food’ type reviews). How Dailycacy came into existence? Praveen Parihar, founder and CEO of Dailycacy, realized the problems faced by customers while ordering food online, the most inconvenient of it was the endless scrolling menus and irrelevant reviews that judged the restaurant and not the food. None of the existing solutions made sense, they were based on random Hit & Trial and the famous street foods found no place in these platforms. 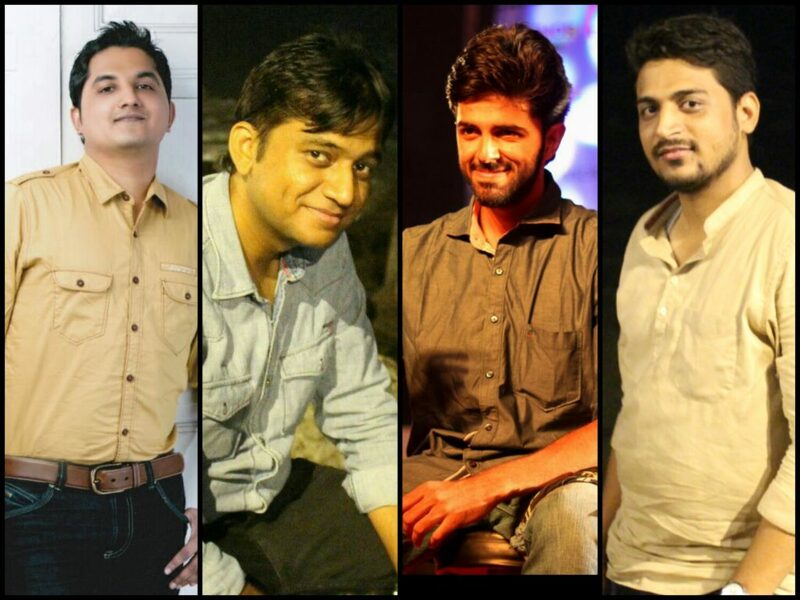 All these, led to the idea of Dailycacy – this unique dish based food ordering platform which gets you authentically curated food delivered right to your doorstep. 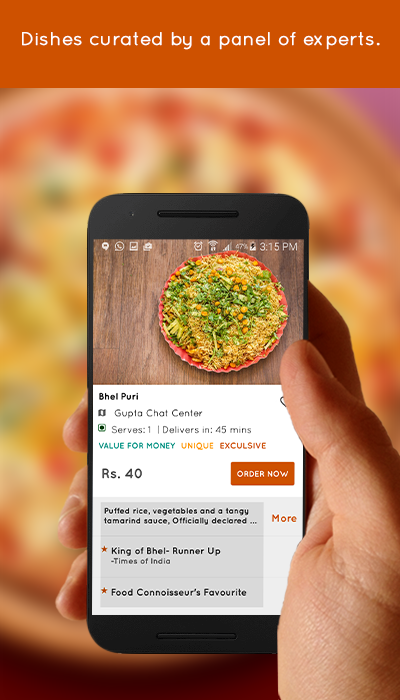 Features that make food ordering a cakewalk! Online Food ordering in India started evolving gradually and then took a dive. Suddenly everyone started to cash in into this business by putting more and more restaurants choices and flooding the food ordering platform. The focus however was primarily on the technology whether website or apps whereas food barely got any attention. “If I decided to order food online”, says Praveen, “I was flooded with too many choices, which didn’t really make any sense for me. Everyone who wants to eat something either knows what to eat or doesn’t? But he wants the decision making process to be easier and delivery even faster. At this time, if he is shown hundreds of choices most of which are not even relevant for him, he will either choose the first thing he sees or at worst order something randomly and pray it turns out good”. Unlike other generic food ordering platforms, Dailycacy makes life easier by bringing you the best of the dishes chosen by our panel of food experts. You don’t need to scroll through endless menus of different restaurants anymore. Just find signature dishes and popular street food at your fingertips anytime, anywhere. They saw people venting on Social Media platforms about the haphazard review system, where everything except food was reviewed – as people spoke more about restaurant decor, services and ambience. It is quite difficult to choose a dish based on such reviews from a particular restaurant! That’s a gamble Dailycacy doesn’t want you to make. The best way to deal with this situation is – Have a Personal Food assistant – who will filter the dishes & curate the best ones for you. Everyone has been building a restaurant based food ordering platform. Whereas people don’t buy into the entire restaurant, they just want the dish. They have a simple business model- If Restaurant can’t afford to give any commission; it provides a separate takeaway/ordering price. Further nominal delivery charges are being levied from customers. They are maintaining the margins carefully, for each order, they are not only able to make up the margins, but also are not completely dependent on order commission. Subscription Model will be implemented once the traction is received. A year back, every food ordering platform was acquiring customers with huge discounts, cash back, free gifts etc. Determined that Dailycacy will not make the same mistake, they kept the target fixed with specific restaurant commission & fixed delivery charges slab to recover the cost. Since we are bootstrapped, it’s difficult to manage the finances. At one stage, we thought of partnering with third party logistics but realised the current logistics providers are struggling with their flawed model. So they decided to put their own Fleet right from the time they kicked off. Logistics Costing/ Operation can be managed in house to make it efficient. Their Biggest Learning is- In Food Industry- Food is primary, Technology is just an enabler. If you focus on awesome food & provide kickass delivery, people will be happy with your services & you can reach to a sustainable business. Dailycacy has recently had its beta app launched in select areas of Mumbai. They plan to cater to South Bombay first and establish the product before expanding it further. They are trying to tap into the customer base of their on-board restaurants to get them to order online. Standees kept at Restaurant premises brought them their first customer and it plans to further convert these restaurant customers to be their early adopters and influencers. Selecting a dish when hungry is a complex choice. Dailycacy is trying to make this selection a better, easier and pleasurable experience. Everywhere, we have been given too many choices; this in turn creates anxiety and indecision. We plan to curate the best of everything & provide it to customer. They are working on a Dish review Platform – Imagine you check into Restaurant and you can review those dishes based on standardized criteria. You are going out with your family at a new restaurant and you don’t know what is good here. 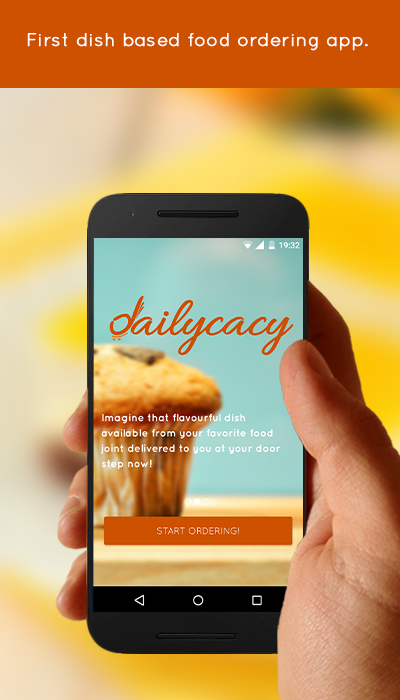 Dailycacy will be your personal food assistant to make your life much easier when it comes to ordering food. Food shouldn’t be a Hit or Miss affair, it should delight you always. This is where, Dailycacy comes in. Best selection in shortest Time. Building Largest Dish Based Review Platform across Globe. Making Selection as Better & Pleasurable Experience. Centralized Platform with Expert Curation across Globe- In Different Verticals.